For an instant country-chic feel at your baby shower, add Kate Aspen's rustic-inspired mason jars. 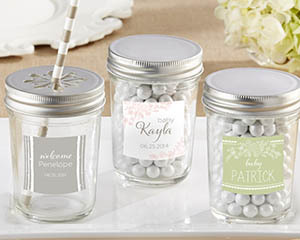 Personalized to welcome your little one, these light-hued beauties come in three delicate designs featuring birch trees, flower bouquets and quaint borders in a warm gray, a cool green and pastel pink. 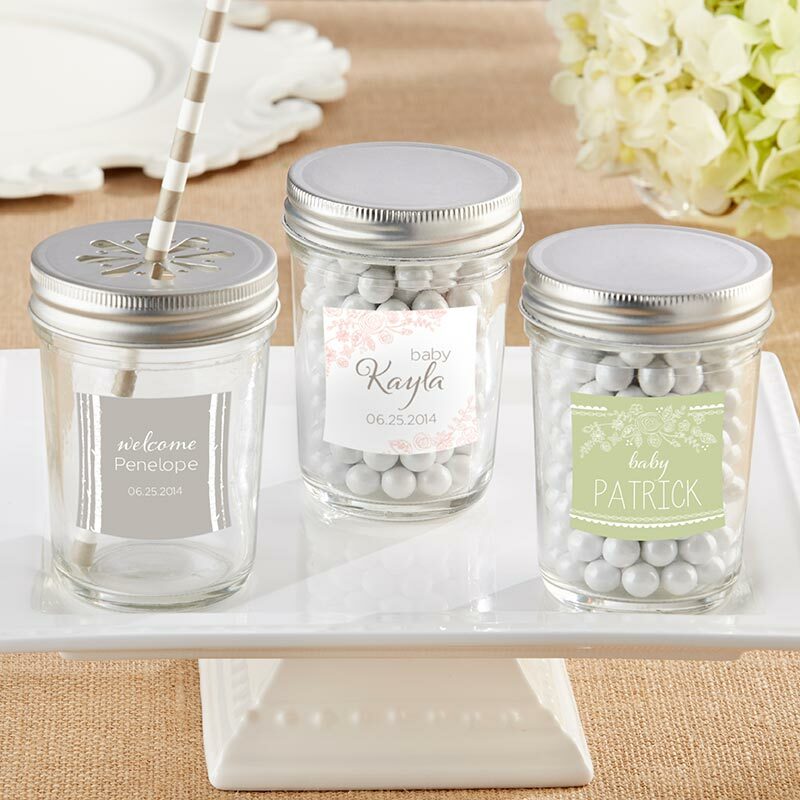 Fill the jars with a fun drink for guests to sip on during the shower, or hand them out as candy-filled party favors.